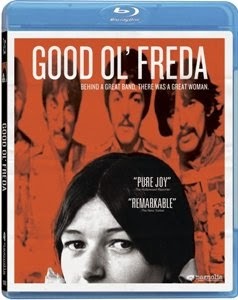 Just when you might’ve thought there wasn’t a single unexplored topic to focus a Beatles-related documentary upon, along comes director Ryan White’s Good Ol’ Freda. The subject is Freda Kelly, the Beatles’ secretary for 11 years, from 1961 (before they were famous) to 1972 (after they had split). 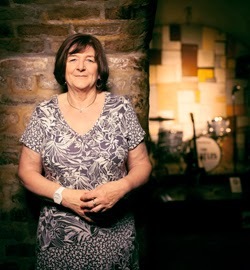 A true friend and a member of the band’s inner circle, Kelly has remained steadfastly silent about her former employers for more than 40 years – turning down all offers to tell her story. Completely loyal to protecting the privacy of John Lennon, Paul McCartney, George Harrison, Ringo Starr, and Beatles’ manager Brian Epstein, Kelly’s mission in finally sharing her story was not to dish dirt. Instead, we get a charmingly low-key tale of what it was like for someone truly working within the eye of the Beatle hurricane. Throughout this gem of a documentary, Freda Kelly (all of 17 when first hired by Epstein) remains unpretentious, humble, and respectful. It’s amazing to learn about how startlingly tight-knit and small-scale the early Beatles organization was. Kelly, it becomes immediately clear, was not a hired hand or glorified hanger-on. 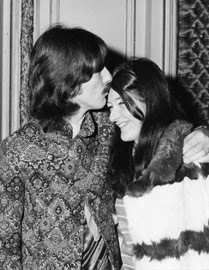 She was a close, personal friend of not only each Beatle, but of their immediate families as well. 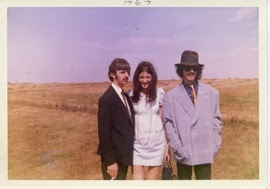 Having lost her mother at a young age, we hear of Kelly’s weekly visits to Ringo’s mother’s home and the close bond the two shared. She spent time with Paul’s father often as well. As all of the doc’s participants (including members of other then-contemporary Liverpool groups The Fourmost and The Merseybeats, as well as the Beatles’ press agent Tony Barrow) state, Kelly was part of the family. No need to spoil all the stories she tells – suffice it to say, not only will Kelly’s tales fascinate Beatle fanatics, they’ll also captivate even casual fans of the band. 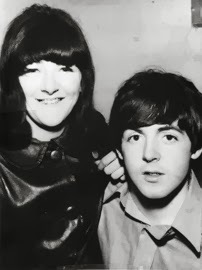 A few highlights… She tells of the unfortunate decision to initially use her home address as the Beatles’ fan-mail address (her father, with whom she still lived, was understandably upset when he could no longer find their bills among the sacks of mail). When the Beatles’ offices moved to London, Kelly was forced to tender her resignation by her father (“London is a city of vice,” he sternly informed her). The Beatles wouldn’t have it and, despite their worldwide fame by that point, insisted she be allowed to continue working from Liverpool. She has continued quietly working as a secretary for the 40-plus years since the Beatles’ break-up. Only recently did she feel it was time to put her story on the record. When asked if she ever dated any of the Beatles, she refuses to confirm or deny. “That’s personal,” she quietly – but emphatically – states. This isn’t a tell-all gossip fest, but rather an extremely classy portrait of a hardworking woman who heroically resisted temptation to cash in on her past, as seemingly everyone with Beatle-ties (however distant) has done. Ryan White and his team funded Good Ol’ Freda via Kickstarter, raising some $58,000. Obviously a labor of love for all involved, those who have any interest in the Fab Four should not miss Good Ol’ Freda. Freda Kelly in GOOD OL’ FREDA, a Magnolia Pictures release. Photo courtesy of Magnolia Pictures. Magnolia Pictures’ Blu-ray offers rock solid presentation of all the new digital footage (shot by Austin Hargrave). Still photos – many of which have never been seen before, sourced directly from Freda Kelly’s personal collection – are as crisp as possible. Vintage video footage shows its age, of course. The lossless DTS-HD MA 5.1 soundtrack is a treat due to the presence of several Beatles recordings (a very rare licensing coup; the first indie film to do so) and original versions of songs the Beatles covered (including some obscurities you may not have heard, like The Cookies’ “Chains”). There’s some good supplemental material, too. Director Ryan White and Freda Kelly contribute an audio commentary. There’s about 12 minutes of deleted scenes, a 22-minute post-screening Q&A at a Beatles convention (former Ringo collaborator Mark Hudson shows up for a question! ), and an interview with White. A small photo gallery and the film’s theatrical trailer round things out.